Boat ramps, parking lots and access roads on Lake D’Arbonne are a key part of furthering the lake’s value. The following letters from D’Arbonne fishermen Clark Laborde and Heath Porter to our Senator Mike Walsworth are mainly about the Stowe Creek road and parking lot, but many feel that all the lake’s road, ramp and parking areas need more regular attention. My name is Clark LaBorde. I am contacting you about an ongoing issue on Lake D’Arbonne in Farmerville, LA. There is a road that leads to Stowe Creek launch that is in the worst condition that I have ever seen it in. 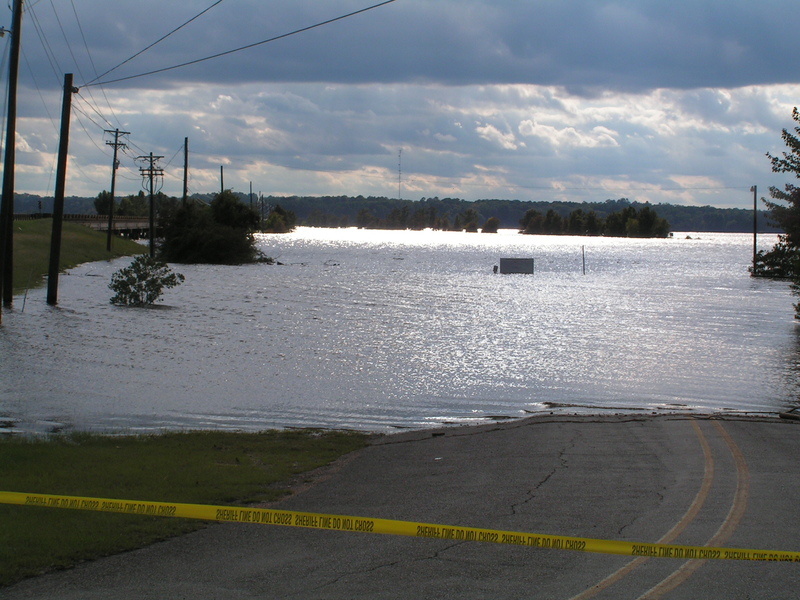 It’s a difficult situation because when the lake rises it comes over this road and people drive down it. This causes it to tear up. I understand there’s very little funding available to fix this road as there are way bigger maintenance problems across our areas that these funds are needed towards. I’ve been in contact with a lot of people over this and haven’t gotten much accomplished yet. That is why I am now contacting you. I’ve recommended that the Lake Commission communicate and help organize a few individuals to go down quarterly and make sure the potholes in the road are filled/patched to where it’s accessible. I don’t really think that this is too much to ask as it’s easy to please a fisherman. I’ve personally witnessed 6 people having to change their tires this month from hitting the holes and it blowing out their tires. One of them was a good friend of mine and it happened in that bad thunderstorm this past weekend. I’m giving examples because this is such a minor problem that with a little collaboration can be fixed. There are more and more people having events on Lake D’Arbonne. Entergy and Centurylink both have company fishing tournaments on the lake to help bring people together and to have a good time. It’s not fun to pay an entry fee only to have a trailer tire ripped off of your boat trailer. . .
One problem with lake ramp and road maintenance is when they flood like this, they get torn up. anglers have contributed to bringing in millions of dollars to some towns there. One to speak of is Grenada. This is really big for small business owners and it brings communities together. The tournament benefitted, Lincoln, Union, and Ouachita parish as these anglers were here for weeks pre-fishing, and spending money in our stores and restaurants. Anglers came from over 13 different states. They have agreed to come back next February to fish the lake again. . . They had such a good time they’re projecting 150-200 anglers in 2016. Not to mention the possibility of them having the National Championship on Lake D’Arbonne. . .
Mr. Valentine the club Director has already said that is a very good possibility in the future, but some things will have to change first. He talked about some improvements to our facilities would aid in that. I tell you all these examples to tell you that I care about our towns and that there’s opportunity in what seems to be small events to generate big funds for small business owners here at home. But, in order to do this we have to maintain what the good Lord has given us. Some simple sweat, dirt, and gravel would satisfy fishermen at this potential launch. All the work can be done with a dozer and tractor. It has been done before. I have also brought to a large forum of anglers the possibility of having an annual launch parking fee put into place to have funds available to maintain and or make additions to the lake. Something as little as $20 would make a big difference as thousands fish the lake. We’ve discussed having temporary bathrooms put at the launches, some lighting, and fish cleaning stations like the state park has. All of these things are ways to better attract money to come to our areas. The majority of the forums are for the annual fee. Again for the time being, we would just like to see it smoothed out and patched up. Down the road maybe we can all come together and make some major improvements to it. Just looking for a quick fix right now to allow people to enjoy their weekends without having to buy a new set of tires. I greatly appreciate you taking time to read this email. We appreciate everything you do for our state and areas. I agree with everything that is mentioned in the email below. The road leading to the ramp is in terrible shape and will damage your equipment. I know this first hand because I am the guy that Clark spoke about having a blow out on my trailer and having to change it in a thunderstorm which also happened to be a brand new tire. The stretch of road that is damaged is only about a 1/2 mile long and would require minimum repairs to make it safe. Not only will it damage your equipment but it is also a little embarrassing. As mentioned below, Lake D’Arbonne has gotten a lot of attention lately. Partly because of the Crappie Masters tournament and also because of the lake’s ranking. Lake D’Arbonne has made the nation’s top ten list for best crappie lakes to fish. There will be much more activity in the future from out of town fishermen due to this which will result in more money coming into our local economy. We are grateful and blessed to have a lake of this caliber to fish in North Louisiana but it could be so much better with just a little maintenance.